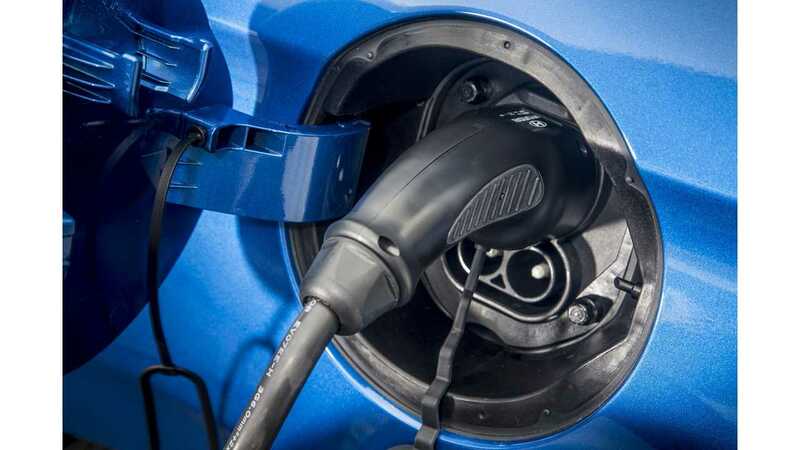 Hyundai Mobis Develops Two-Way EV Charger, Enabling V2G To "Fill Up the City"
Hyundai Mobis has announced the development of a two-way on-board charger (V2G) for future electric and plug-in hybrid vehicles. It's not clear at this point whether Hyundai Mobis ultimately will be supplying those chargers for upcoming new Hyundai cars (like the new 200+ mile Kona EV), but the company believes that the market of V2X technology (Vehicle To Everything, including V2G) to be worth KRW30 trillion (nearly $27 billion) in 2025...which seems a touch optimistic to us, but we will go with it. Full details are not yet available, but Hyundai said that four plug-ins with V2G could power 20 households for a day, which would be especially important in an emergency situation, or just shorter brown/black-out situations. "V2G refers to using the idle power while plug-in environment-friendly cars, such as EV and PHEV, connected to the grid, are parked. The electric vehicle is charged while connected to the grid, and the electricity remaining after the day’s operation is transmitted (and/or discharged) back to the grid. The electric vehicle effectively becomes a moving Energy Storage System (ESS). The electric power supplied by vehicles can be used as emergency power in households and cities. Four electric vehicles can supply energy that can be used by 20 households in a day. If more vehicles are available, the surplus power can be secured and large-scale blackouts may be prevented. Damages to industries due to blackouts are estimated to be KRW 650 billion a year in Korea. The industry estimates that if V2G is applied to 100,000 vehicles, 500MW power, equivalent to the power generation of a thermoelectric power plant, will be secured. Experts say that “In general, automobiles are being used less than 20% of the time, and they are parked in the remaining time,” and it will be very effective. Currently, pilot V2G projects are being actively carried out in Japan, Denmark, the US and China. To implement V2G, ▲ plug-in environment-friendly vehicles, ▲bi-directional OBCs, ▲bi-directional charging stations, and ▲the discharge rate system are necessary. Among them, ‘bi-directional OBC,’ key to power conversion, is a next-generation part that is not widely available around the world, thus has never been mass-produced except for pilot projects. Hyundai Mobis has participated in the ‘V2G test bed project,’ which Korea Electronic Power Corporation (KEPCO) has been conducting since 2015, and was responsible for developing the bi-directional OBC. 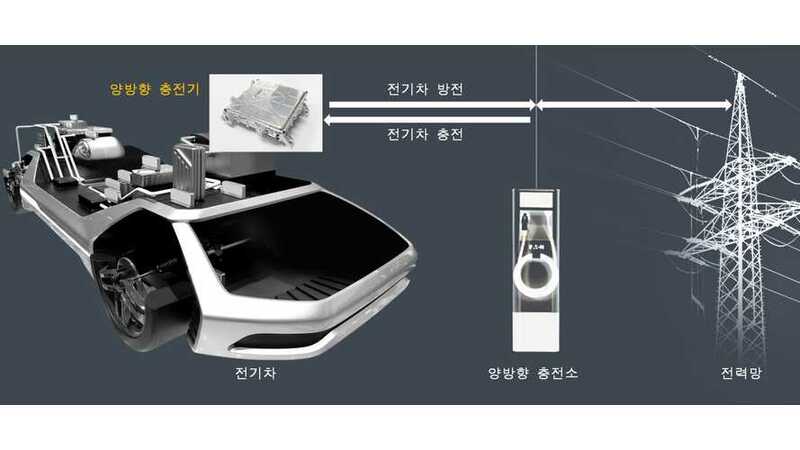 Hyundai Mobis is the first in Korea to install the bi-directional OBC in environment-friendly vehicles, verify safety performance, and develop it to the commercial level in a test bed project. The ‘bi-directional OBC’ has bi-directional power control circuits,’ such as the AC↔DC converter and the step-up/down converter, for bi-directional conversion of DC/AC. Hyundai Mobis started the vehicle testing according to the virtual power scenario earlier this year, and finished it at the end of last month, while actively commencing with vehicle testing linked to KEPCO’s real-time power data from this month. The actual vehicle verification begins with a dedicated charging station diagnosing the power state of the vehicle, such as battery efficiency and capacity. The optimal V2G schedule is then created according to the hypothetical scenarios in which the power supply, cost, and load are analyzed. Vehicles receive this data signal, and repeats charging and discharging according to a predetermined schedule. In future smart cities, many electric vehicles will be charged at the same time. To reduce the resulting power load, V2G is essential. The successful development of the bi-directional OBC enabled Hyundai Mobis to respond more proactively to the global V2X (Vehicle To Everything, including V2G) market, which is expected to grow to KRW30 trillion ($26.7 billion) by 2025."